We bet you that you can’t go through your entire life and not meet someone that doesn’t like Oreos. This legendary cookie has been made in flavors that go far beyond chocolate sandwiching a crème filling. Oreos were first created by Nabisco in 1912. Double Stuf was introduced in 1974, but the first flavor variation didn’t come until 1985 when the classic sandwich cookie got its mint filling. At the time, this treat was only on a limited-edition basis, but has since become a permanent item. 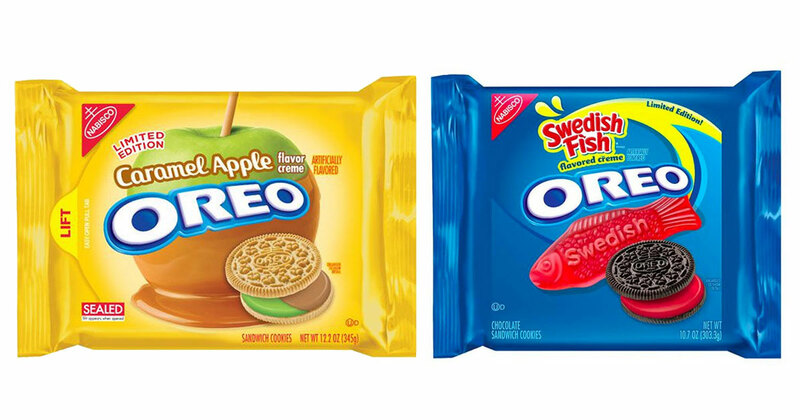 Since then, Nabisco has launched dozens of wacky cookie flavors, including Swedish Fish, Blueberry Ice Cream and Watermelon. Not all Oreos are created equal. There are actually a ton of flavors, some of which bear little to no resemblance to the classic regular Oreos that we love. Whether you’re an Oreo originalist or a fan of the more adventurous flavors, here’s your chance to rate various Oreo flavors and find out what it reveals about you. First off, what do you think of the regular Oreo? What about the Double Stuf Oreo? What about Birthday Cake Oreo? The cream cheese filling has colorful sprinkles in it. No thanks, give me the regular Oreos! What about the limited edition Cookie Dough Oreo? How do you find the Cotton Candy Oreo, with pastel blue and pink creme between two golden cookies? Reese's Peanut Butter Cup Oreo? Lastly, what do you think of Red Velvet Oreo?